Recent changes to the Department of Labor (DOL) Fiduciary Rule1 may have you wondering, “Who am I working with on my financial matters?” Asking questions to uncover context and clarity can help guide you to the appropriate path for your unique personal, family and business financial and lifestyle goals. FINRA recognizes 168 “professional” designations! Confused? Several terms for financial services professionals such as financial advisor, financial planner and financial consultant are used interchangeably. The confusion is not surprising when trying to understand any area of financial expertise when working with someone. As an example of this alphabet soup, FINRA2 recognizes 168 professional designations. For simplicity, we will use the term “financial consultant” when referring to the various types of financial professionals. This article will discuss two areas to help you understand the client / financial consultant relationship. What is your financial consultant’s primary role? How is your financial consultant compensated? Advanced designations and credentials may give an indication of the financial consultant’s area of focus. 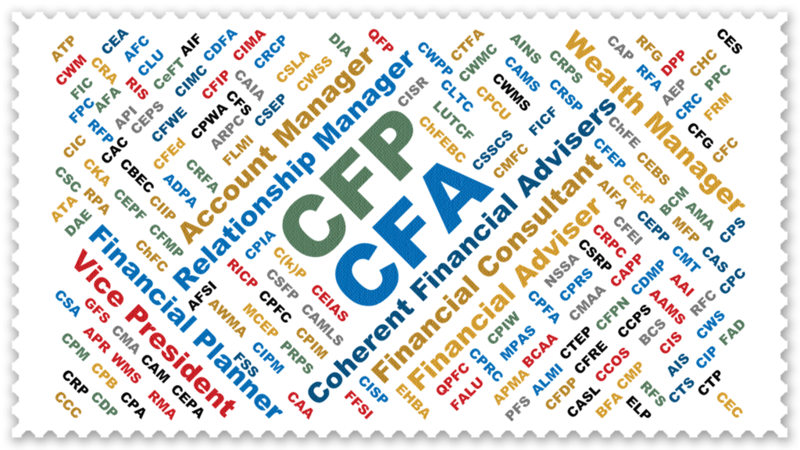 For example, the CFP® focuses on comprehensive financial planning and investment management. The CFA® provides a deep focus on investment strategy and portfolio management. The ChFC and CLU work primarily from an insurance perspective. Your financial consultant may have other priorities influencing their relationship with you. Asset gatherers are typically measured by “Net New Assets”, meaning the main goal is to bring in new assets to their organization. Asset gatherers are often faced with an ongoing replacement cycle since anytime assets are withdrawn (used for lifestyle needs, RMDs from IRAs), the lost amount of assets must be replaced before the financial consultant can realize a net gain on new assets. Relationship managers simply match up their company’s products and services to the customer’s “needs”. The relationship manager is held to a suitability3 standard. Their company may have a limited or seemingly expansive product offering. Financial services companies typically make more revenue from products they produce and may have an incentive to steer the focus towards their own products and services. Investment managers focus on investment strategies and portfolio management. The goal is to understand your risk tolerance and risk capacity. This cohesive strategy allows your investment accounts to work in harmony with your “sleep at night” comfort level to keep you on track with your financial and investment goals. For an introduction to financial planning, click here. Ask your financial consultant one simple question – “How are you compensated?” The openness and general tone of the response will provide great insights for you! A financial consultant’s compensation is impacted by the type of company they work for. Familiar financial service channels include banks, insurance companies, broker-dealers, and Registered Investment Advisers (RIA). Ask your adviser, “How are you compensated?” Their response will provide important insight! Do you receive additional compensation from sales contests or company sponsored trips? Incentives may be based on timing, typically monthly, quarterly or annual sales targets. They may also take into account the amount of product sold such as the number of new accounts opened, investment dollars for investment accounts, size of annuities contracts, etc. Is your income affected by company defined payout grids, production levels, or the types of accounts you recommend? Both the company and financial consultant may receive more revenue from certain products and services they offer. Do you receive compensation for cross-selling products and services or “introductions” to other departments associated with your company? Examples include referrals to banking/mortgage products, margin/security lending, structured notes. Do you have monthly or quarterly sales goals that you must meet? Financial consultants may be rewarded (or penalized) based on their company’s pre-defined sales goals. Your financial consultant may have certain organizational structures, priorities and incentives that influence their relationship with you. By asking questions about their primary role and method of compensation, you will be positioned to better understand how everyone’s interests are aligned. At Coherent, we are compensated for financial planning and investment management directly and explicitly by the clients we feel privileged to serve. Our interests are aligned completely with those of our clients. 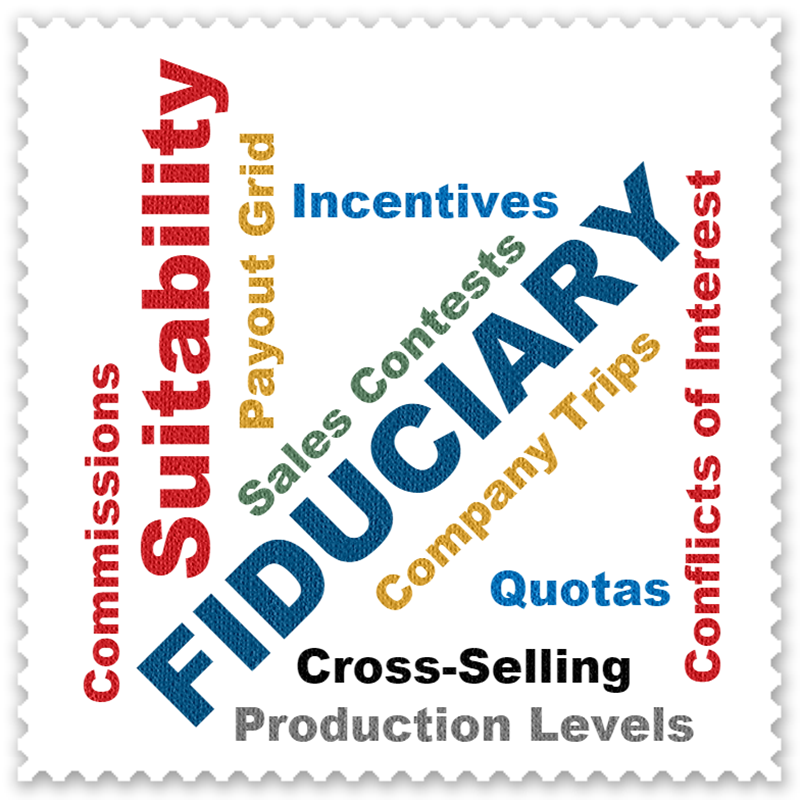 Fiduciary Standard: Under federal law, in particular the Investment Advisers Act of 1940, investment advisers are regulated by the Securities and Exchange Commission (SEC) or appropriate state authorities and are required to provide services to their customers under the fiduciary standard. CERTIFIED FINANCIAL PLANNER™ professionals providing financial planning services also must abide by the fiduciary standard, as defined by the CFP Board.